FACT CHECK: Was an FDNY Firefighter's Helmet Worn on 9/11 Stolen? Was an FDNY Firefighter’s Helmet Worn on 9/11 Stolen? Firefighter Michael O'Connell has received two replica helmets and numerous messages of support since his 2015 plea went viral, but his original helmet has not been returned. 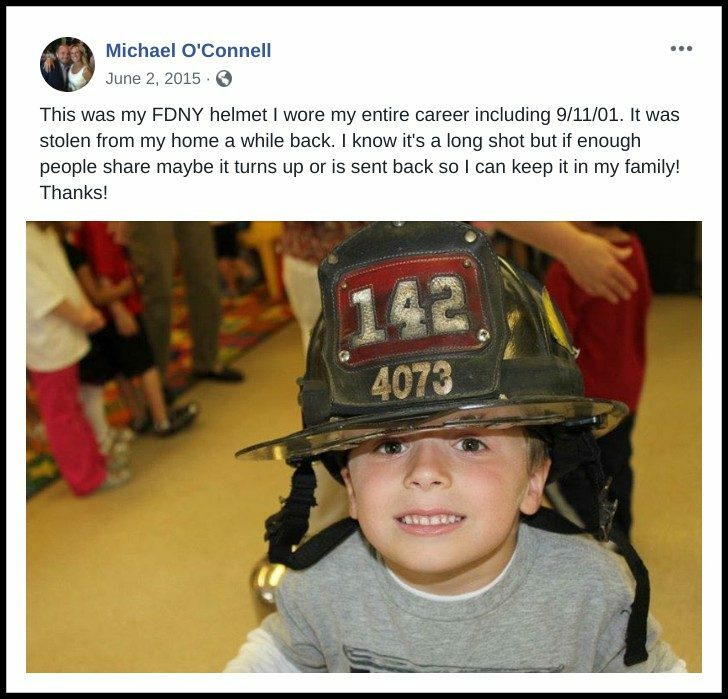 FDNY Firefighter Michael O'Connell asked the internet for help in locating the helmet he wore on 9/11, which had been stolen from his home. This was my FDNY helmet I wore my entire career including 9/11/01. It was stolen from my home a while back. I know it’s a long shot but if enough people share maybe it turns up or is sent back so I can keep it in my family! Thanks! The NYC Wire Fire Facebook page helped spread O’Connell’s message by resharing his post with the caption, “In case anyone comes across this … maybe the thief is stupid enough to try to sell on eBay.” Within a week, the message reportedly reached more than 8 million people and had been reshared hundreds of thousands of times. Unfortunately, despite the wide dissemination of this Facebook post, it did not result in the return of O’Connell’s FDNY helmet. Retired firefighter Michael O’Connell’s social media campaign to retrieve his stolen FDNY helmet has gotten him the next best thing — two replicas thanks to some good Samaritans. “There are still amazing people in this world!,” O’Connell said. O’Connell, 39, recently turned to Facebook to track down the significant memento that he wore at Ground Zero following 9/11 and hoped to leave to his three children. What came back instead were two painstakingly created replica helmets from good Samaritans hoping to soothe the sting of his loss and an avalanche of human kindness and compassion. “I’m taking the good out of this story, not the bad,” said O’Connell, who was forced to retire from the FDNY after being diagnosed with sarcoidosis, an inflammatory disease that attacks the lungs and lymphatic system, in 2007. “We live in an amazing world. So many people are willing to help. I hope people recognize this more than all the hate out there,” he said. Although this FDNY firefighter’s message was originally posted in June 2015, social media users have continued to share his plea on Facebook over the ensuing years. 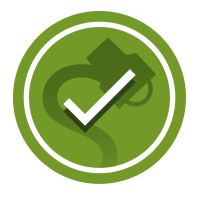 In April 2019, for example, a screenshot of O’Connell’s message that was posted by the “Ramsey, New Jersey Volunteer Fire Department” racked up more than 600,000 shares. We attempted to contact O’Connell but have not had any luck so far. We will update this article if any new information comes to light. New York Daily Post. 3 June 2015. AM New York. 3 June 2015. AM New York. 24 June 2015.